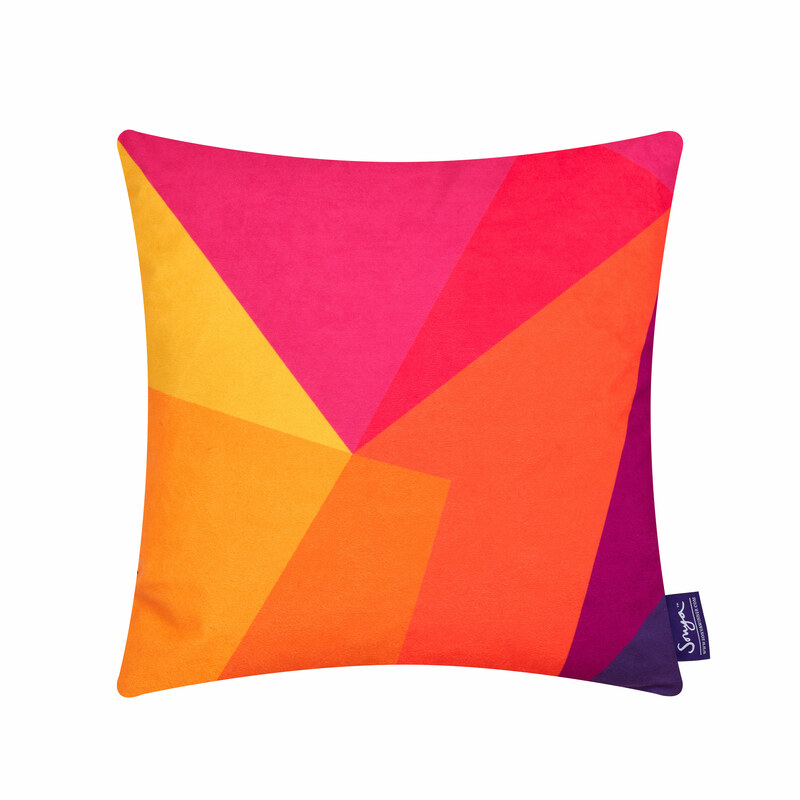 The After Matisse multicoloured throw pillows are bright geometric designer cushions, ideal for bringing a splash of colour and elegance to your bed, sofa and chairs. 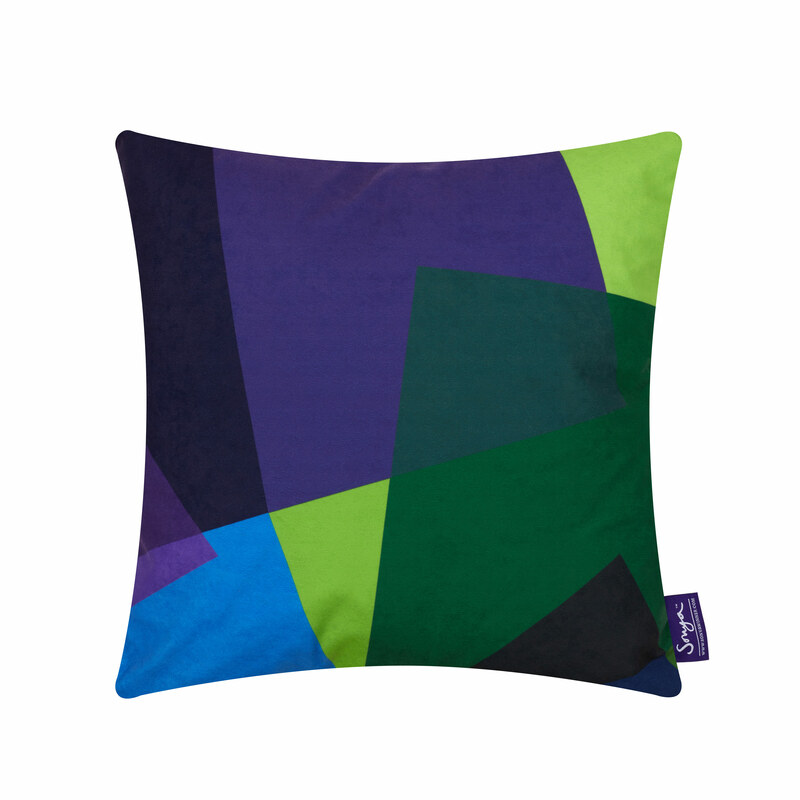 The Full Collection of After Matisse accent pillows includes the original Green & Blue, Sunset and Fire as well as the new Boudoir and Harlequin designs. 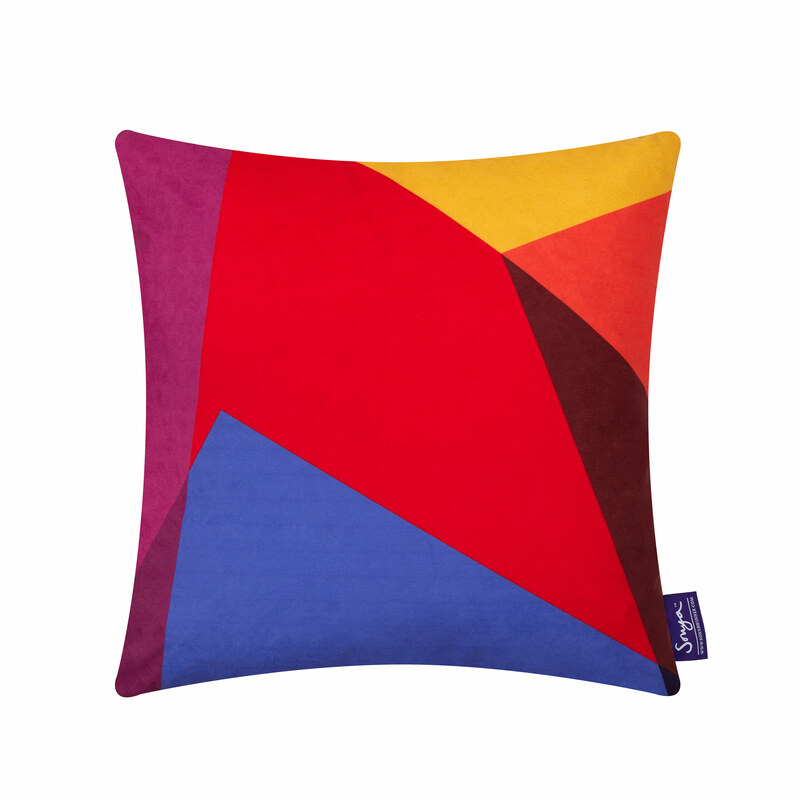 The vibrant bold colours in each of the five cushion designs have been carefully selected to complement each other and bring an uplifting feel to modern and traditional interiors alike. 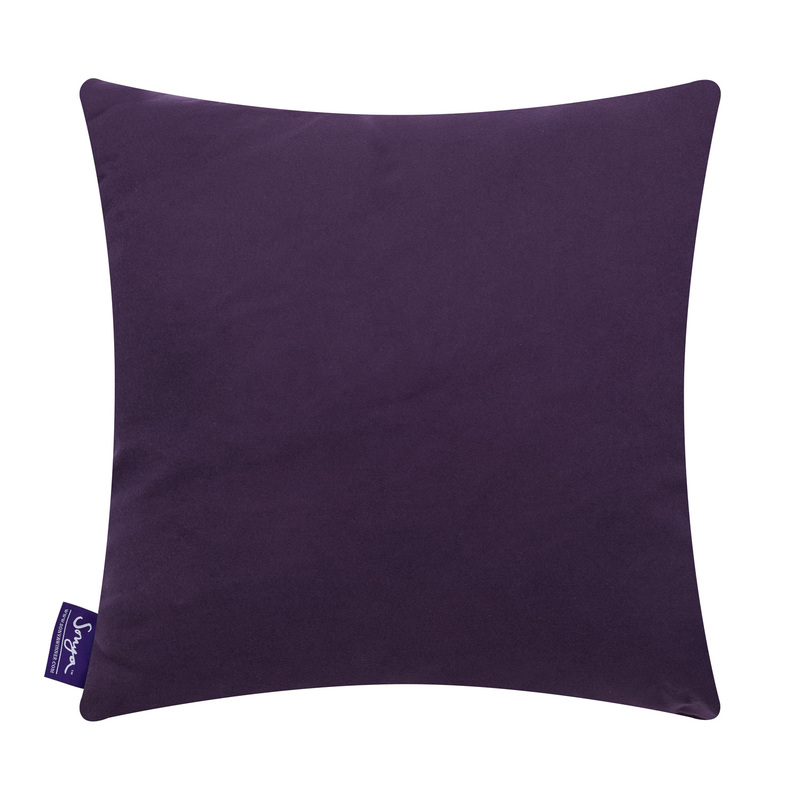 All After Matisse decorative pillows are made of faux suede with a zip and have an inner beautifully soft removable down feather pad, as well as our signature dark purple back. 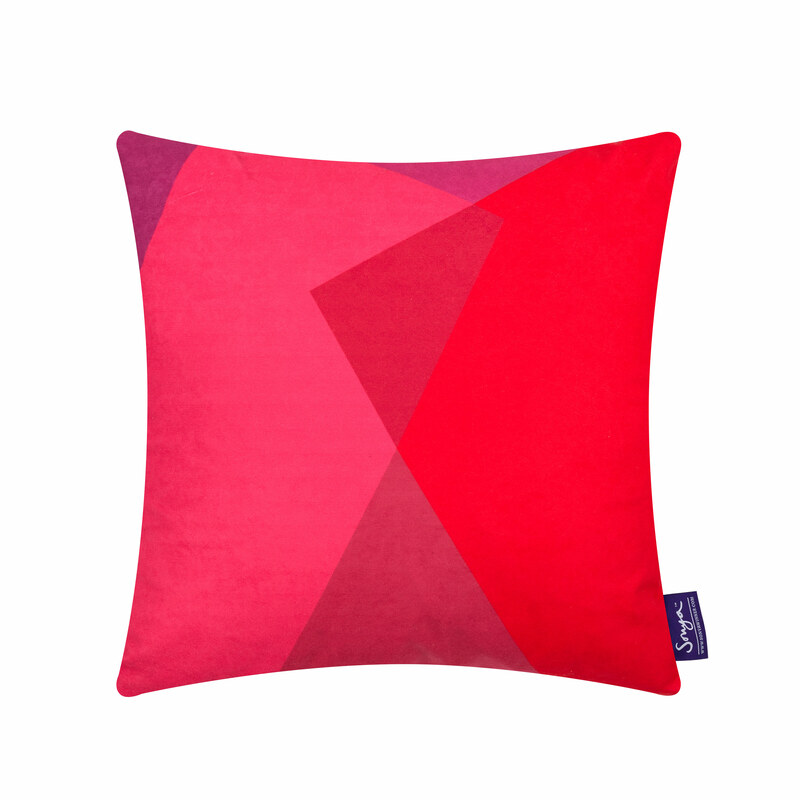 The After Matisse cushions are huggable, squeezable and perfect to snuggle up to! The unique patterns and colour combination of our After Matisse designs are transformational for sofas and chairs, unlike single-coloured cushions. 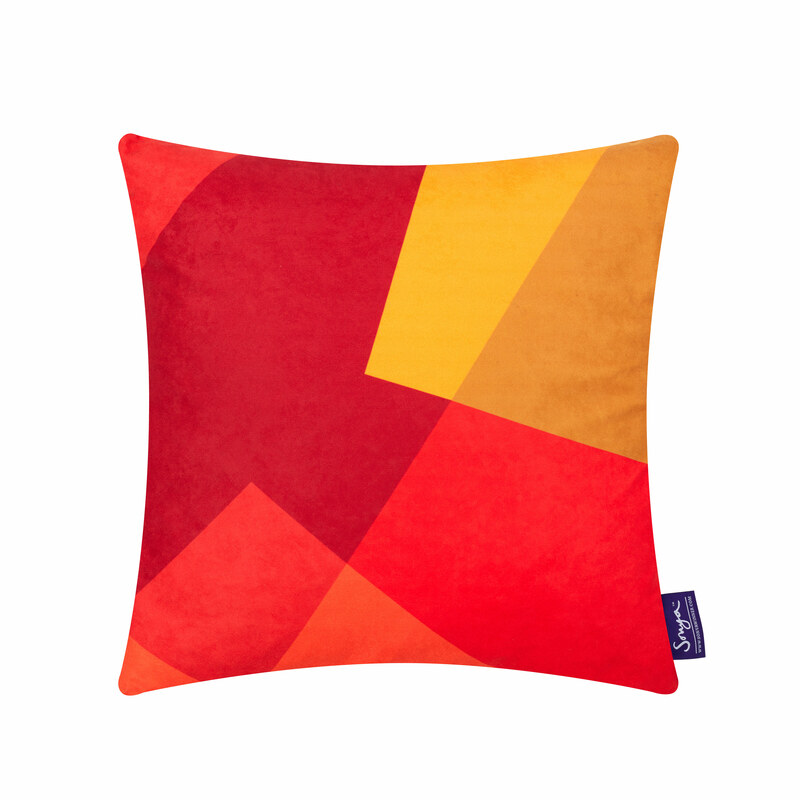 The dimensions of each cushion are 45 x 45 cm. 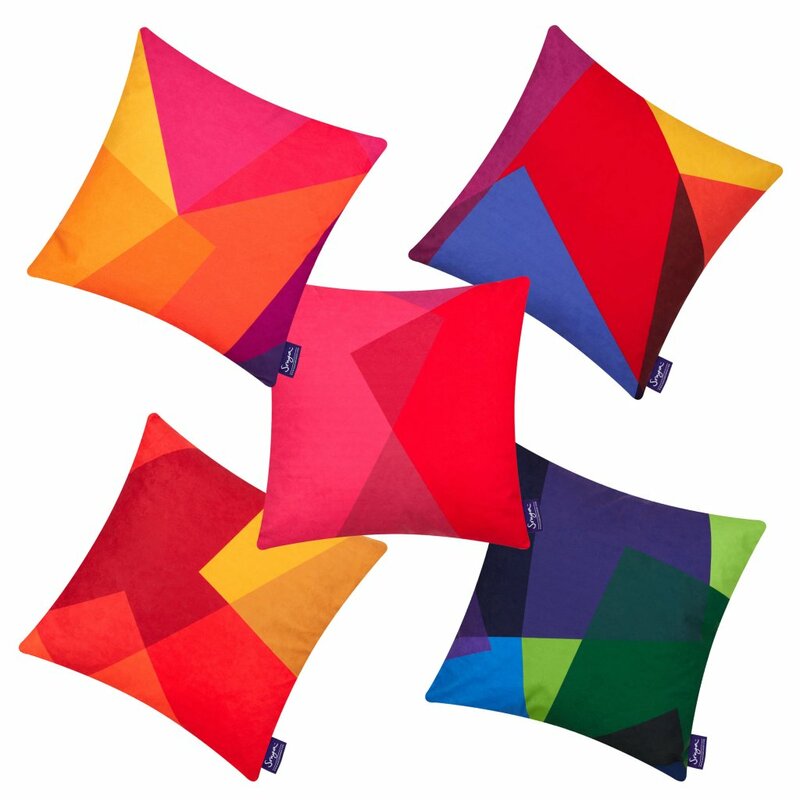 The set of 5 is offered at a special price compared to purchasing individual cushions. Made of faux suede with a zip, our soft feather cushions are luxurious and comfortable decorative pieces. They are easy to clean and maintain. We recommend washing in cold water or dry cleaning. We just received the After Matisse rug which we ordered from you through our Designer Celia Vogel, CV Design Associates. Firstly, let me tell you how thrilled we are with the rug; it more than exceeds our expectations. The colors are luscious, the quality is beautiful, and it does for our living room exactly what we had hoped it would do. Attached are some photos of the rug in situ (phone camera and room still in progress). We bought the After Matisse rug at the 2013 Architectural Digest show in NYC. Attached is a photo of the rug in the Living Room with the pillows we also bought. The space looks great and we love the rug. The cushions are here. Wonderful. Many thanks.